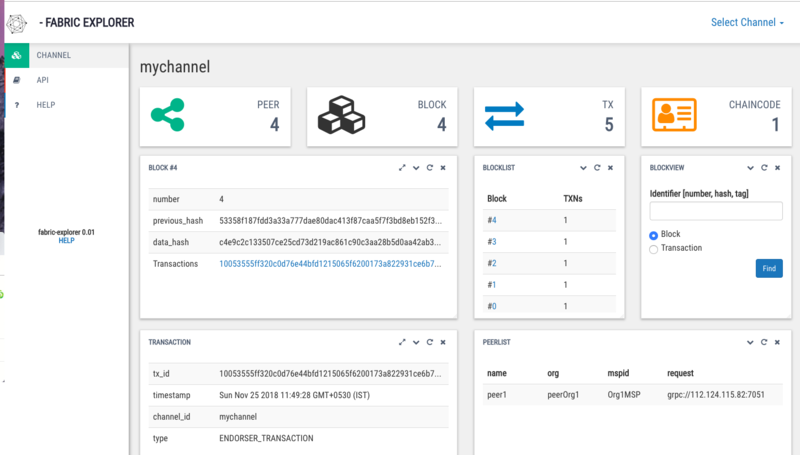 In this topic I’ll explain the step to step procedure of how to setup Blockchain Explorer for your Hyperledger Fabric project. 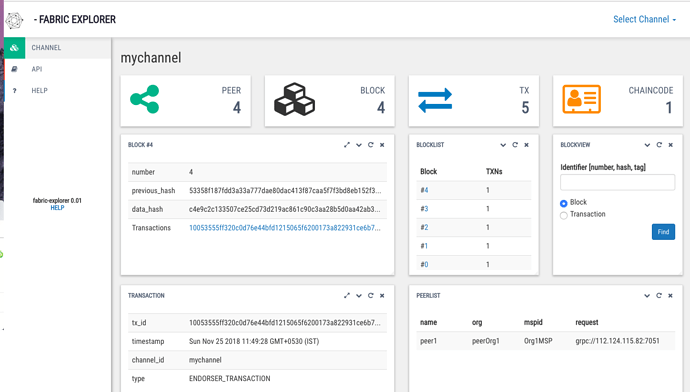 We’ll be using https://github.com/xuehuiit/fabric-explorer for this demo as it comes with MySQL Support. Before getting into the article, I assume that you already have a fabric network running and we’re only configuring the explorer to talk with it. Clone the repository to your local machine or the server where you want to run the explorer. Copy paste the crypto config folder from your network to explorer’s root folder (Where you have the main.js file). Update the config.json for configure your database connection (In this we’ll use mysql so it’s pretty straight forward), channel list, loglevel, key store path, etc. Now after configuration, it’s time to update the network configuration. it’ll be placed in the file app/network-config-tls.json for TLS enabled network and app/network-config.json for non TLS system. Here I’ve attached my network configuration, update it based on yours. Make sure if you’ve the crypto config placed in the root folder as we’re referencing here accordingly. Create the database in mysql with the name you mentioned in the config.json and import the schema with the sql file provided under db/fabricexplorer.sql. Run the explorer with the following command. and if you want to run as demon. Error: PEM encoded certificate is required. I am getting this error while runnung my main.js. I have added the signcerts and keystore path. This looks like your private key is not in proper format. thank you its working, but I dont know why Im getting only one peer in my peerslist while there are 3 peers , any idea?